By calculation methods, the dose rate of the radioactive waste, behind concrete protection, was evaluated in current work. Parameters, which were taken in account in the calculations, are geometry of the protection shell, size of the source and its isotopic composition. As model geometrical parameters the spent fuel assembly’s size and thickness of the concrete wall of the ventilated storage container (VSC)-VVER were taken. The computer program that does numerical calculation was composed in the Wolfram Alpha environment. The program takes into account change of the isotopic composition and spectra of gamma-radiation with time. Calculation results were compared to the known data on the spent nuclear fuel heat dissipation. Approach described in this work can be used for fast estimation of change in the quality of radioactive waste (RAW) in the long-term storage without recycling, for different initial isotopic composition. Obtained results were analyzed on the matter of change in gamma-radiation of RAW. Way K., Wigner E. Radiation from Fission Products // Phys. Rev. - 1946. – Vol. 70. – No. 1 - 2. – P. 115 - 130. McNair A. Bannister F.J., Keith R.L.G., Wilson H.W. 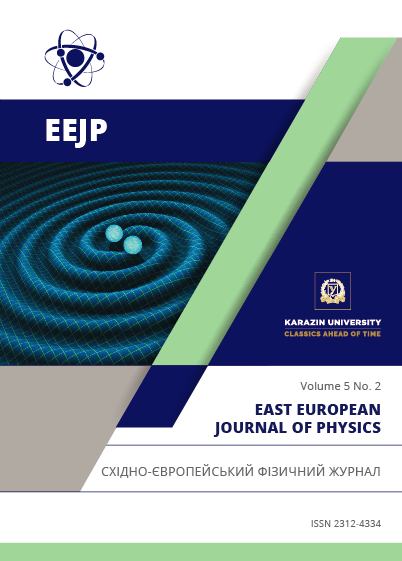 A measurement of the energy released as kinetic energy of β-particles emitted in the radioactive decay of the fission products of 235U // J. Nucl. Eng. – 1969. – Vol. 23. – No. 2. – P. 73.